Halloween often conjures scary images, frightful superstitions, and veiled rituals. We wouldn’t be shocked to see a grown woman in a colorful padded costume and knife-edge footwear with an impenetrable helmet and shield over her head and bearing a huge curved stick, rocking as if listening to a heavy-metal vibe. 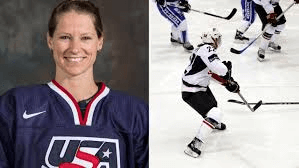 What if that woman was our own Kacey Bellamy, three-time winter Games hockey player for Team USA? It is! She’s decked out in her fierce hockey ensemble, listening to VanHalen blasting out “Right Now,” the song she always plugs into before a big game, including the match against Canada where she won a gold medal in PyeongChang in 2018. I have a few quirky things. In Biathlon, I wear my race bib to bed the night before a race for good luck. In the morning I always eat the same breakfast (eggs, toast with almond butter, and have a Life Shake mixed with fresh fruit). I do the same warm up and everything the same so I can get into the zone. I don’t know if sleeping in my race bib helps, but setting a routine right before the race certainly makes a difference. I wore my Team Canada mittens. These red mittens would be with me before every single race. They traveled with me to two Games, multiple world championships and more! I wore them as I walked out for my final races. I even wore them in Rome, Italy when we raced in the outdoor pool and it was warm outside! The night before every race I write down what I am going to do from the time I wake up to the time I start the race, by the minute. From lacing up my skates all the way back to eating breakfast—I like my routine! I always put on my right glove first. It just feels natural. If I put the left one on first I would take it off and start over. We believe in something called the “Fencing Gods,” which is essentially just Karma dressed in a fencing uniform, overseeing all fencing-related events and listening to all fencing-related conversations. If we ever say something like, “Oh I never lose to her” or “she’s an easy draw,” or “she’s a terrible fencer,” or essentially anything that puts down an opponent, you will inevitably lose to that person. It sounds crazy, but I swear it’s true. Both Courtney and I respect the Fencing Gods and are very careful what we say . . . . I try not to be very superstitious, but if I have a good race in a certain pair of gloves or hat, I tend to be drawn towards wearing them more often for following races, even though I tell myself it has nothing to do with superstition! Coffee before every game! It wakes me up and gives us a chance to connect as a team before every game. I also have superstitions about who zips up my suit before we get in the water! Usually the goalie, or my friend. It changes from season to season, but not from game to game. I have always been an especially lucky person. Amro, on the other hand, has been notoriously unlucky. Before each competition, we split up a pair of silver-dollars. 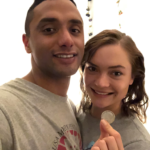 I take one coin and the other goes with Amro. On the day of his competition, I transfer my luck via the coins. Who knows if it works, but we’ll keep trying anyway! I always put on my left skate first. Both must be equal tightness or else it feels off, so sometimes I re-tie my skate two or three times. And when I finally get on the ice before my race I do a stretch ritual to relax. I stretch my back and arms and neck, followed by shaking out my legs and arms. Before every bout, I walk to the end of the strip, recite my mantra (I am success), touch the ground, do a short lunge/jump to fire my hip flexors. The whole thing has evolved over many years but for what it’s worth, my teammates say they can tell how well I will fence by the crispness of my ritual. One thing that must remain constant every time is how I lace up my skates: My left skate has to be completely tightened before I even get my right foot into my right skate. I’ve tested this superstition—if I fail to do it, I fall! I have a thing with the even and odd number of times I do something. For example, if I lose a point, I might bounce the ball on the ground an odd number of times vs. when I win a point and I’ll bounce it an even number of times. Or, in between games, I’ll readjust my clips an odd number of times if I’ve lost that game and vice versa. 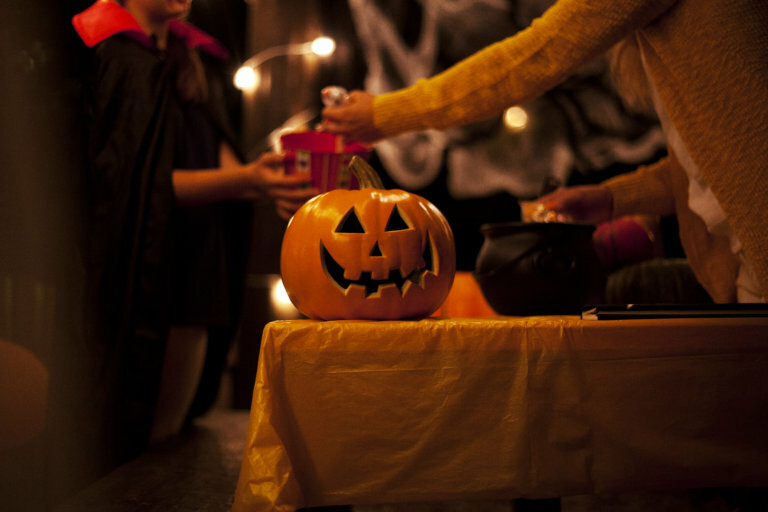 The post Halloween Special: Pure Performance Team Athletes’ superstitions, rituals, and habits appeared first on go.shaklee.com.